In late August we introduced Cacoo’s new HTML5 editor for cloud users, and now we’re ready to roll out this important update for Enterprise! Since its inception in 2009, Cacoo has run on Flash. At one time, Flash was incredibly popular for its ability to enable advanced graphical expressions on the web unaffected by a user’s operating environment. Nowadays though, Flash doesn’t provide the security and reliability modern users need. That’s why the Cacoo Development Team decided to migrate the Editor to HTML5, the premier choice for impeccable performance. We’re excited for you to start using the updated editor. With improved speed and dependability, we can begin rolling out even more improvements and new feature options in the future. We also have plans to make installing updates like this easier in the future for our Enterprise users. In the next version, we plan to run Cacoo Enterprise as a Docker machine, so customers can start using new versions of our product sooner than ever. 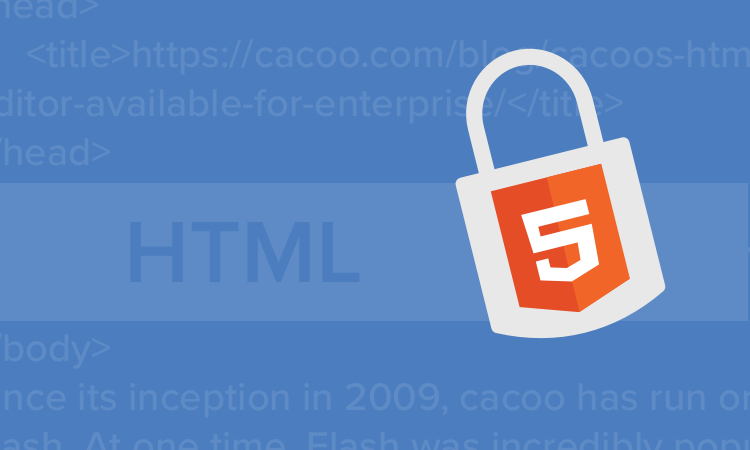 The wait is over; HTML5 is here for everyone!